Kraj Basków, Opus Dei, byki – czyli Pamplona w kilku zdaniach. Praktycznie za każdym razem taka była reakcja na informację o moim wyjeździe. Każdy zna Madryt, Barcelonę czy Valencię. Nikt nie mówi o Pamplonie. Niewielkie miasto na północy Hiszpanii- półtorej godziny drogi od granicy z Francją. Sama ,wybierając miejsca do których chcę wyjechać na Erasmusa, zaznaczyłam Pamplonę jako piątą pozycję. Ponieważ chciałam studiować na południu Hiszpanii uznałam moją nominację za osobistą porażkę. Muszę przyznać, że była to najcudowniejsza porażka mojego życia. 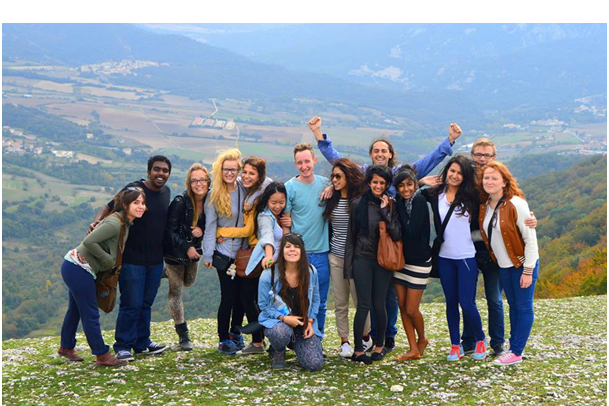 Do you want to STUDY abroad? Do you want to meet AWESOME people? If you said “YES” probably you took part in the International Day on 24th October at our University! What was happened? More than a dozen stands that were „a piece of other countries” attracted with colorful flags, interesting decorations and the smell of regional dishes! Thursday afternoon. Three ESN UEK delegates, together with other ESNers from all over Poland travelled to Slovakia, Košice to experience 4 awesome days @ Central European Platform 2013! Central European Platform [CEP] is a regional platform which associates eight countries: Austria, Croatia, Czech Republic, Hungary, Lithuania, Poland, Slovakia, Slovenia. This year’s edition was held in Košice, Slovakia. Our section was represented by Paweł, Zuza and me, Ola. The CEP’s program was pretty intense. Early mornings, plenaries, presentations, short breaks and crazy nights! One and each of the points in the agenda was literally great! During the plenaries we had an opportunity to get to know lots of useful stuff. The President of ESN International, ESN Poland’s representatives as well as local sections representatives gave us substantial amount of interesting information. 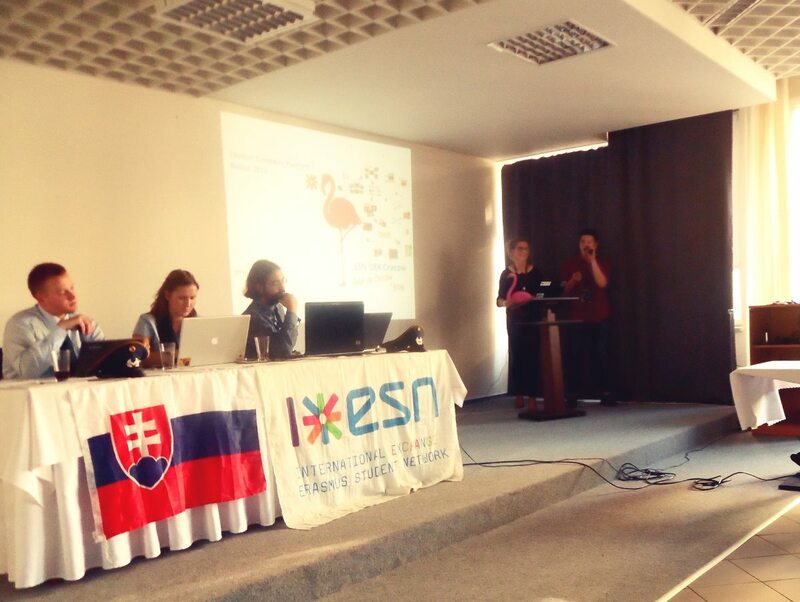 ESN UEK had its time to shine as well! Together with Paweł, we were honored to present our two flagship projects – Tour de Krakow and BLOG ESN UEK!!!! „100 people. 3 days. 218 kilometers…” = Integration Camp 2013! At approximately 14.00 two energy boosted and party pumped buses of lovable exchange students and mentors began their journey from Kraków to the mountains of southern Poland. The weather was great, the atmosphere was even better. It wasn’t long before the first ‘na zdrowie’s echoed throughout the vehicles. As time and kilometers passed the landscape changed. 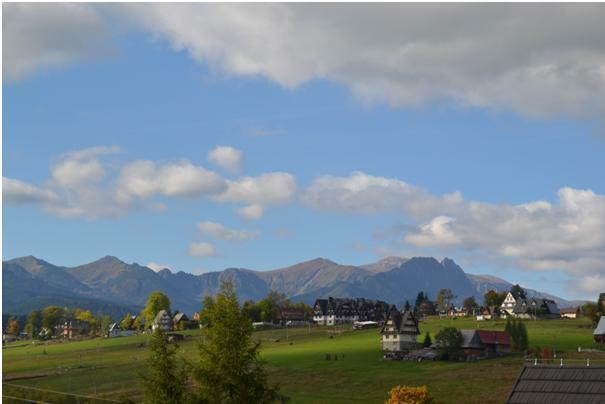 We got to see both traditional Polish houses and the outlines of the breath taking mountains Zakopane. "100 people. 3 days. 218 kilometers…" = Integration Camp 2013! Uff… Orientation Week (OW) dobiegł końca, nadszedł teraz czas na odpoczynek i powspominanie o tym, co zrobiliśmy i co takiego wydarzyło się w ubiegłym tygodniu. Experience it again…Orientation Week 2013! Uff… Orientation Week (OW) is over and now it’s time to relax and look back at what we did and what happened during this past week. I couldn’t resist to this city, so I decided to continue my pretty good life in Krakow also during the summer semester. Kraków blew out my mind! My craziest and strangest life experience – one year in Krakow. When I thought I had experienced everything what is possible to experience – Krakow blew out my mind. Although, I expected a lot from the city; the main motive to come to Krakow was to discover new culture, new people, new way of studying and living, and if possible to take something out of it for myself. I got much more; I discovered the new world which consists of very different aspects, which are rarely seen in one place; Krakow is the city of fun; there are parties every day in the week and every hour in the day somebody is having a party. But in the same time, it is the city of culture with 28 branches of museums, 9 cultural centers, 7 theaters and more than 110 exhibitions per year ; Krakow is home to every kind of art from every corner of the world; from Egyptian Mummies to Leonardo and Rembrandt. Krakow is also the city of knowledge and education with 22 universities and 180 thousands of students; University of Economics teaches 23 000 people to become experts in different fields of economy and business. The most amazing thing about Krakow is its spirit and it’s people; the mixture of old and new, rustically and modern, inhabitants and foreigners; it is the city where one can easily come, but hardly leave. Now I’m a part of this network! I’ve never thought that I meet so many people from different countreis, will know their history, culture and traditions and finally have good friends after. Best parties – WELCOME TO KRAKOW, best international students – WELCOME TO KRAKOW, best ESN members – again KRAKOW As you understood all best things that happen are in KRAKOW I’m really glad I was there, I met really good guys from all over the World! Thank you Damir – best neighbour in dormitory, Alexandre – my king of the dancefloor, Thibaud – your Russian is amazing, Gabriela – my red cat, I love you, i hope you will have a great time in Spain, like me in Poland, Zuzanna – thank you for International Day, after that I understood I should improve my Polish and I did!